Erlewine: Thanks for interviewing with us. First, are you willing to share your birth data with our readers and if so, please tell us what it is. Stein: Sure. June 17, 1951, in the Germantown Hospital, in Philadelphia, Pennsylvania. I’ll give you the time as EST because, according to my hospital records, they did not switch to DST in those days. 11:43 pm EST. Stein: A friend of mine was copying information from some tables onto a circular chart of some kind. “What are you working on?”, my Gemini curiosity prompted me to ask. “An astrological chart,” she said, not even looking up. “You don’t really believe in that stuff, do you?” I asked. So my Scorpio friend with the Scorpio Moon slowly looked up at me with the most intense gaze I’d ever seen, and said, “What is your birth date?” I gave it to her, she looked me up, and started telling me things she couldn’t possibly know about me, all from that little table! I was hooked. Stein: Initially, I was self-taught. My first textbook was “The New Waite’s Compendium of Natal Astrology”, which not only taught me how to set up a chart, and do calculations with a logarithm table (this was 1969 BC….the BC meaning ‘before computers), but it also included a table of houses and an ephemeris. I picked up a bit more info from Ellen Mcaffrey’s “Astrology Home Study Course”, and Ronald C. Davison’s “Astrology”. At this point, I began doing charts for everyone I knew, and reading anything I could get my hands on. I bought every astrology magazine on the stands each month, read all the astrology books my library had (and luckily, they had more than just pop-astrology), and found myself drawn to Dane Rudhyar’s works which I devoured. There was one person who eventually entered my life and taught me volumes, and I’ll be happy to talk about him. Stein: In late 1973, I was friends with an astrologer who invited me to come with him to New York to attend a publishing party for a new book. I was delighted to discover the book was on something I had never worked with before (Ceres, Pallas, Juno and Vesta), and it was a great pleasure to meet Eleanor Bach, the author, as well as a number of other New York-based astrologers. But the one I met that night who became my mentor was Al H. Morrison. I suspect Al and I were teacher/student in a past life, as quickly as we connected. He opened my eyes to techniques that I never found in any books. Al as a young man was a non-believer, but noted astrologer Barbara Watters convinced him of the power of astrology, and he became her student. By the time I met him, I think he knew just about everyone in the business, and he helped steer me in the right direction as to who to read, who to stay away from. And a few years later, when I heard about the discovery of a new body (that would later be named Chiron), it was Al that helped me pull together the group of astrologers that launched the initial exploration. Stein: Primarily, I work with natal and secondary progressed charts of individuals, although on occasion I will help someone chose a correct time via electional astrology, or try to answer important questions with horary. I focus on the tropical zodiac, not feeling comfortable with sidereal. For house systems, I use Koch primarily for the chart of an adult, Equal House for a child, and compare the two if I’m looking at the long range picture of how a person evolved after leaving the home and going out into the world. For electional and horary, though, I find Placidus gives me better answers. Stein: Not so much ‘created’, but rather, directed people towards. I’ve been a staunch advocate of including Chiron in every chart, and have gotten a number of people ‘hooked’ on using it. I also find the Saturn/Uranus midpoint is a powerful source of energy a person can tap to aid in becoming whole, and I know quite a few people who include it in every chart they work with now. Stein: I think it would be hypocritical to advise others with astrology, and not learn lessons in my own life from it, so yes; it is very much a part of me. I don’t consult it daily, though. What I tend to do is look at the year ahead on my birthday each year, and chart out an overview. Then, I refer to it whenever I need to make sense out of what is happening in my life, or if I want to choose the best time to do something that is important to me. Stein: I’ve done readings for others for over thirty years, but it is not my prime focus. My main love is astrological research. In a typical week, I’ll work with only one or two clients, usually over the telephone. New clients are always welcome, of course. As for what techniques work best, that truly depends on the needs of each client. they? Are you a social astrologer or a lone wolf? Stein: I’ve been to a few conferences, and loved them. There is always something new to learn and I love networking and especially reconnecting with some of the astrologers I haven’t seen in awhile. So I’m definitely not a lone wolf. But my life is so busy, I may go several years between conferences. I have also been blessed with the opportunity to speak at the “Astrological Association” conference in England one year, and that was one of the highlights of my life. Stein: It’s a mixture. There are some excellent astrologers who are truly trying to bring astrology the respect it deserves by doing scientific research, and there are teachers who are raising the standards ever higher through organizations like ISAR, NCGR, and the like, as well as those who do such an excellent job at Kepler College of Astrological Arts and Sciences. But unfortunately, there are also a lot of people who call themselves astrologers who are barely one step up from the crystal-ball-reading carnival fortune tellers. Some of the witty new-age drivel I’ve read makes me cringe worse than I have when a musician hits a sour note. I’m thrilled that astrologers have been contributing names to astronomers for newly discovered bodies, and some of these have gotten accepted, and I’m thrilled that there are some astronomers who actually open to the possibility that there may be something to astrology. There is some two-way dialogue going on that has never happened before in our lifetime, and I think this shows that astrology itself is alive, and going somewhere. The quality of astrological software available now makes it quite easy to be accurate in setting charts up, and also in doing number-crunching for research. But in many cases, it is the ‘other’ kind of astrologer, the fortune teller, or the ‘channeler’ that the public sees, and I think that part of the current state saddens me. Stein: Astrology is not my main source of income. I laughed when I read these two questions, though, because I’ve often told people I was simply born without a business sense. (My chart is wonderfully full of fire and air, and my ascendant is watery Pisces, but I just don’t have much down-to-earth within it.) Maybe if I hire a business manager………. I get a lot of great feedback from other astrologers, and serious astrology hobbyists, on the ongoing research I have on my site. There is not a month goes by, I don’t hear from someone new about how information my site has helped them. By ‘regular folks’, I assume you mean those who go to that part of my site where I offer my services. As I mentioned, I don’t have a large number of clients, but I’d say at least half of them come from my site, so I guess they are responding positively. Stein: It is definitely a tool to enable a person to predict the avenues that will be the most productive for them to travel, as well as the dead-ends and traffic jams that they would be better off avoiding. But I don’t see it as a tool to predict if and when something was going to happen TO someone. It helps you predict the best ways to use what the universe gave you. Stein: Most of the time, yes. And surprisingly, most people are interested in finding out all about it. Maybe it’s the type of people I draw to me in this life, but I almost never seem to get condescending looks, or other negative reactions. Stein: I wasn’t sure if you meant to say ‘being an astrologer’, or ‘astrology’, but yes, I’ve made a lot of sense out of life events that did not seem to make any, by turning to astrology for understanding. Erlewine: If someone asked you, “Why should I pay any attention to astrology?”, how would you answer them? Stein: My father used to take the family on long drives to new places, and he would never take a map. So as you can imagine, he would sometimes get very, very lost, and the time wasted trying to find our way back was time we never will recover. My father never would have used astrology, either. But both on the road in my car, and on the road of life, a map helps immensely. Learning astrology will help you to find the best path, and to avoid the detour signs that you might not see coming otherwise. Zane B. Stein is an Astrologer and Researcher, well known as the world’s leading astrological authority on Chiron. He spearheaded the initial research in Chiron, stirring astrologers around the world to begin utilizing it in their chart work. For his work in this field, he received the Canopus Award For Excellence in 1998, and his book, “Essence and Application: A View From Chiron” is still considered the most widely referenced book on the subject. He is currently seeking to unravel the meanings of the other Centaurean bodies and Trans-Neptunians, especially Eris. Zane has lectured throughout the United States, Canada, Great Britain and Ireland. 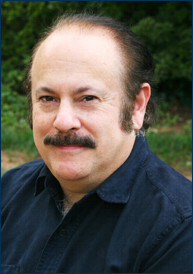 He is a member of ISAR and the Metropolitan Atlanta Astrological Society, and currently resides in Marietta, Geogia, where he has a private astrological practice. Stein can be reached at Mr.Chiron@ZanStein.com and his websites include www.zanestein.com.